For the majority of my life, up until a year or so ago, I could sleep like a log. Now some nights I will wake a few times an night and struggle to get back to sleep, or I will find it difficult to get to sleep initially. Nothing frustrates me more than not being able to sleep. My body knows when I've not slept well and so does my skin. I look completely drained and get that really dull looking skin, when I've not had a good night. After finding myself getting more and more annoyed I went in search of a little help. 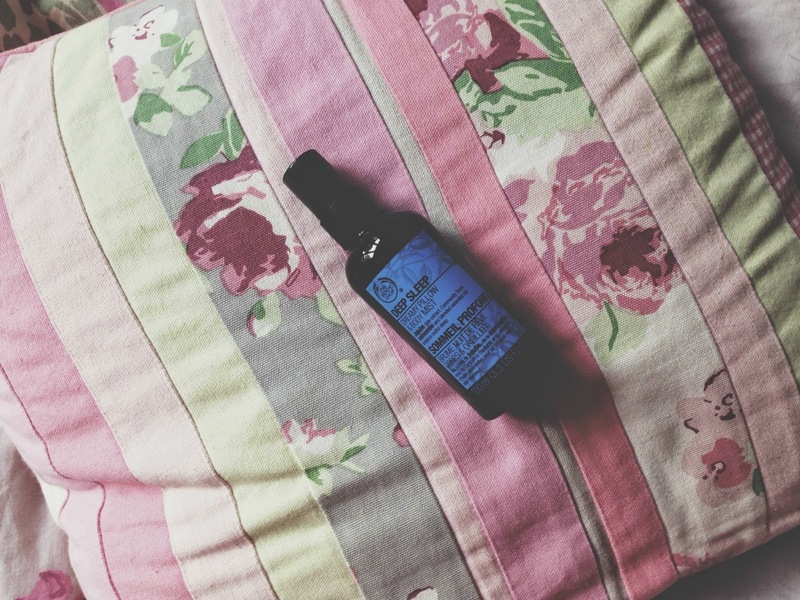 I've heard great things about the This Works pillow spray, but it's not readily available in Wigan and I wanted a quick fix without having to wait for Royal Mail. 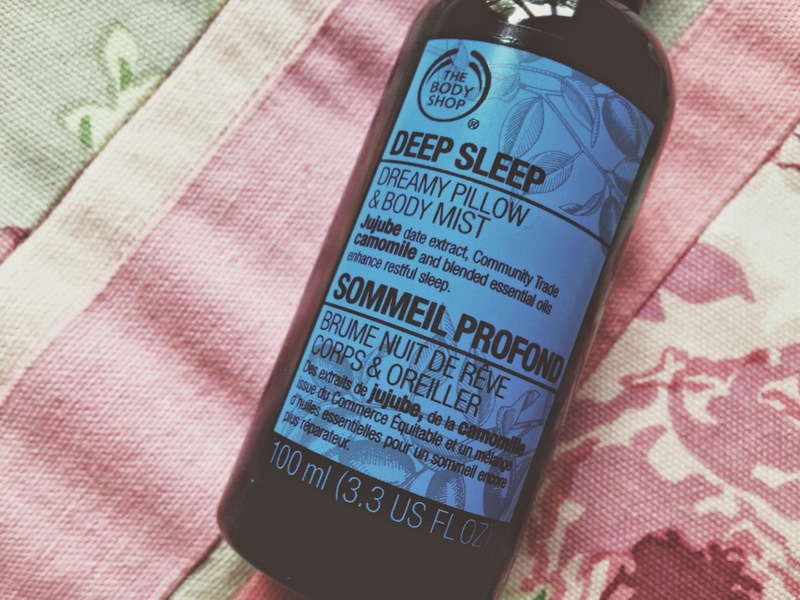 I knew I spotted the Deep Sleep Dreamy Pillow & Body Mist in The Body Shop before so off I went, armed with a £10 off £20 spend and picked up my spray. I imagined that this would smell like your generic 'calming' sprays - sort of lavendery. However I was pleasantly surprised to find it is very much the opposite. This smells sort-of herbally but with a hint of citrus and chamomile. It's a really pleasant smell and transforms my bed linen and leaves me feeling soothed and relaxed. I've even been spritzing this on the hubby's side as he's been enjoying the scent just as much as I have. I'm not going to claim this is a miracle worker, but this certainly gives me a helping hand when drifting off to sleep. I've also found myself staying asleep for longer periods and finding it much easier to get back to sleep. This is such a comforting product, it just helps you chill out and eases you into a good sleep. 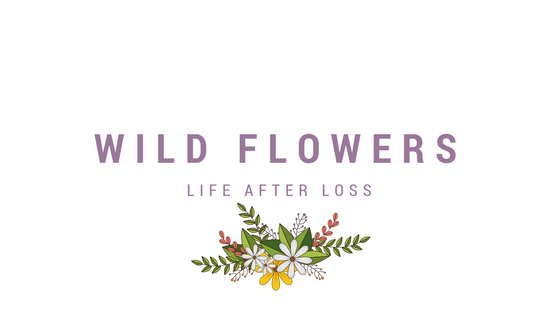 If you are struggling with drifting off, I would definitely recommend picking this up - this will certainly be repurchased over and over again. 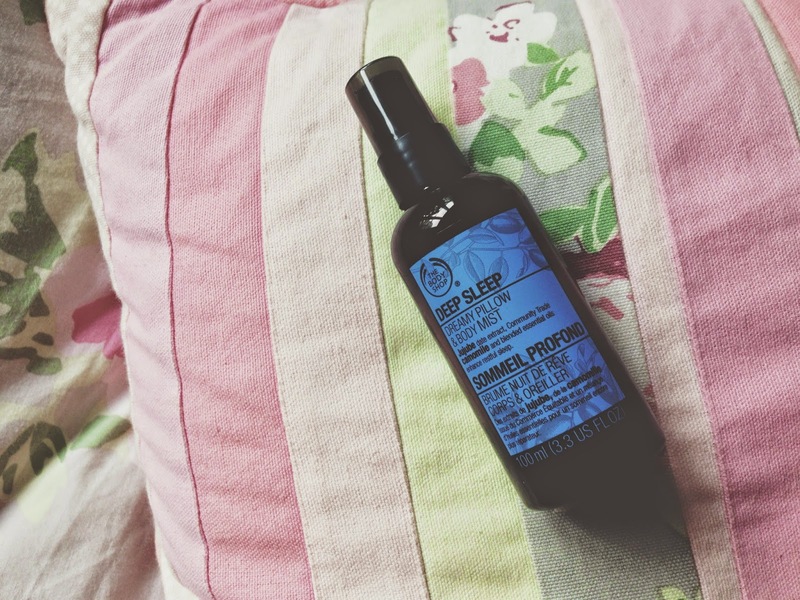 Oh I did not know The Body Shop did a pillow spray which is such a shame as I have just ordered the This Works again. I love TBS so will definitely pick one up in due course. Lovely review. I love pillow sprays but I haven't tried this one yet! So good to know of an alternative to This Works... I'll definitely be checking this out! I really don't like lavender so this sounds perfect, thanks for the tip!